Detroit Lions receiver Calvin Johnson has been voted by his peers as the No. 3 player in the NFL for the second straight year. This time, he finished behind Minnesota running back Adrian Peterson and Denver quarterback Peyton Manning. A year ago, he trailed Green Bay quarterback Aaron Rodgers and New Orleans quarterback Drew Brees. The countdown of the top 100 for 2013, based on voting by the players, was completed with Thursday night's announcement on the NFL Network. 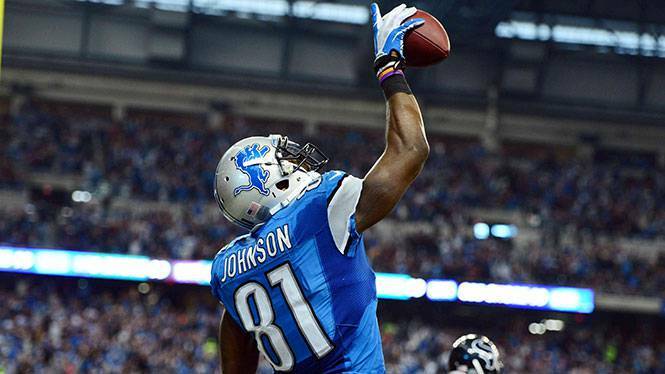 Johnson is coming off a record-breaking year in which he set the NFL single-season mark with 1,964 receiving yards. He made 122 catches and scored five touchdowns.